President Obama said he thinks it's fair to say that he and President-elect Donald Trump "are sort of opposites in some ways," but he admitted there is one thing they have in common: confidence. 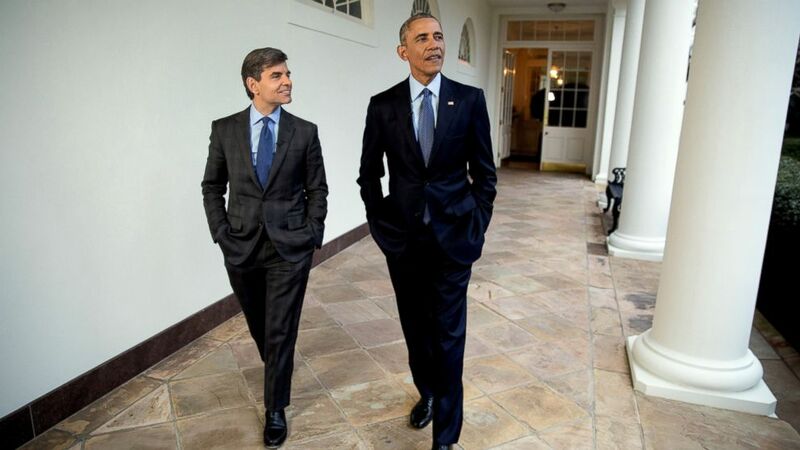 "It's probably a prerequisite for the job, or at least you have to have enough craziness to think that you can do the job," President Obama told ABC News chief anchor George Stephanopoulos. Obama revealed more insight into his private conversations with President-elect Trump, saying their conversations have been "cordial" and Trump has been open to his suggestions. "The main thing that I've tried to transmit is that there's a difference between governing and campaigning, so that what he has to appreciate is as soon as you walk into this office after you've been sworn in, you're now in charge of the largest organization on Earth," Obama said in an exclusive interview on "This Week." Obama also noted that he's tried to impress upon Trump that running the White House is different than any other job. "You can't manage it the way you would manage a family business," Obama said. "You have to have a strong team around you. You have to respect for institutions and the process to make good decisions because you are inherently reliant on other folks." Obama added that he has also talked to the president-elect about having confidence in U.S. intelligence agencies. But there are going to be times where the only way you can make a good decision is if you have confidence that the process is working," Obama said. "And the people that you put in charge are giving you their very best assessments." Obama said he doesn't believe Trump has spent much time "sweating the details" of being president, which he acknowledged could be a strength or a weakness. "It depends on how he approaches it. If he -- if it gives him fresh eyes, then that can be valuable. But it also requires you knowing what you don't know and putting in place people who do have the kinds of experience and background and knowledge that can inform good decision making," he said.Obama also said he has spoken to Trump about the impact of his use of Twitter. "I've said to him, and I think others have said to him that the day that he is the president of the United States, there are world capitals and financial markets and people all around the world who take really seriously what he says, and in a way that's just not true before you're actually sworn in as president," Obama said.